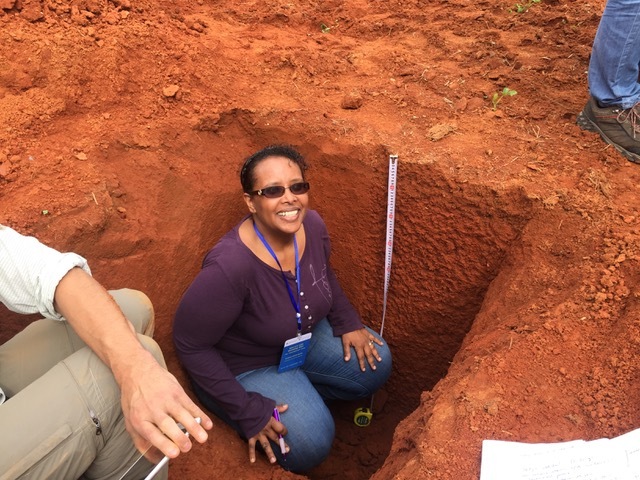 This week on #MeetAscientist get to know Dr. Asmeret Asefaw Berhe, a Professor at University of California Merced leading a soil biogeochemistry research group. 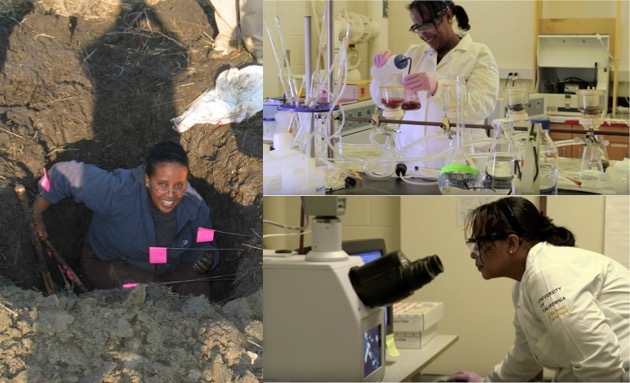 She shares the arc of her career — from Eritrea to California, from political ecology to biogeochemistry — and her advice to young investigators. We know you'll find her insights as enlightening as we do! When did you first identify as a scientist? I started feeling comfortable identifying myself as a scientist when I was a PhD student. At that time, for me to identify myself as a scientist, it was important that I be engaged in research, that I know how to identify knowledge gaps in my area of research, and was working to answer novel research questions. You studied political ecology — a field that might be unfamiliar to many of our members — for your Masters degree. What drew you to the field and how does it relate to the science your lab does now? Political ecology is field of study that brings together fundamental biophysical/chemical understanding of natural processes, with human needs (including use, overuse, and abuse of natural resources), and the political-economic context in which these human-environment interactions take place. I received my B.Sc. in Soil Science (Soil and Water Conservation), and I received great training in the biophysical and chemical aspects of soil science, and the fundamental issues surrounding land degradation. But, to gain a more wholistic understanding of the causes and solutions for land degradation, I was drawn to study Political Ecology of Land Degradation for my Masters degree. During my M.Sc. studies at Michigan State University, I sought to gain better understanding of the social/political, in addition to ecological, context of land degradation. In particular, I was interested in how armed conflicts cause and exacerbate the ever growing global problem of land degradation. Studying political ecology of land degradation was critical in expanding my worldview and understanding of the soil system and land, beyond what we typically study in the natural sciences. This background in Political ecology has been critical in my further studies in Biogeochemistry (that I studied for my PhD at the University of California, Berkeley) and how I approach teaching and research in Earth and Environmental Sciences. I try to incorporate socio-political, and economic considerations on topics related to anthropogenic disturbances and natural perturbations in the environment (ex. fire, erosion, and climate change). You started your scientific career in Eritrea. How has that background influenced the kind of scientist you are today and where your concerns lie, both inside and outside the lab? Starting my scientific training in Eritrea has influenced the kind of scientist that I am today because it motivates me to consider how diversity of backgrounds affects our approach to science, research, teaching, etc. I am also able to relate to students and others in our community from different backgrounds relatively easily. Furthermore, it opens my worldview about how different the realities of every day life can be from what we are dealing with here. You're in the early stages of your career, and you've already received a number of high recognitions and awards. What's the best piece of advice you've received as a scientist starting her own lab? What advice do you have for women who are soon to be in your position? Find supportive mentors - take charge of your mentoring. Find multiple people that can be your mentors in the variety of needs that you will have. Recognize that the challenges you might face and your mentoring needs will change over time, and you will need different people to seek support from. Especially make sure that you have peer mentors that you can interact with regard to different stages of your education and career, including job search. Write and continue to practice writing, esp. learn to write successful proposals. Be an active member of your academic community. Establishing yourself as a young scientist in academia can be as taxing as it is rewarding. So what do you outside of work do relax and unwind? Some of the things that I do to relax and unwind are spend time with my kids and husband cooking, traveling, hiking, swimming and reading. 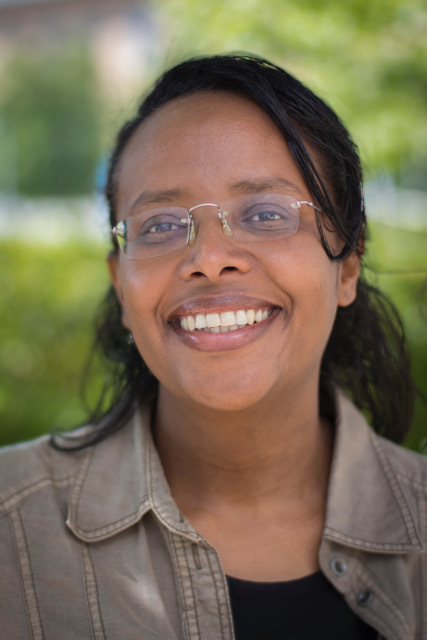 Dr. Asmeret Asefaw Berhe is an Associate Professor of Soil Biogeochemistry at the Life and Environmental Sciences unit at University of California, Merced. Dr. Berhe was a University of California President’s Postdoctoral Fellow (2006-2008) at the Department of Earth and Planetary Sciences, University of California, Berkeley and at the Department of Plant science, University of California, Davis. Prior to that Dr. Berhe received her Ph.D. in Biogeochemistry from the University of California, Berkeley; M. Sc. in Resource Development (emphasis on Political Ecology of Land Degradation) from Michigan State University, and B. Sc. in Soil and Water Conservation from University of Asmara, Eritrea. Prof. Berhe's work focuses on biogeochemical cycling of essential elements (esp. carbon and nitrogen) in the soil system and how physical perturbations in the environment (ex. erosion, fire, changes in climate) affects stability and mechanisms of stabilization of soil organic matter. Prof. Berhe is a recipient of several awards including the National Science Foundation’s CAREER award, the Young Investigator Award from Sigma Xi, and the Hellman Family Foundations award for early career faculty.